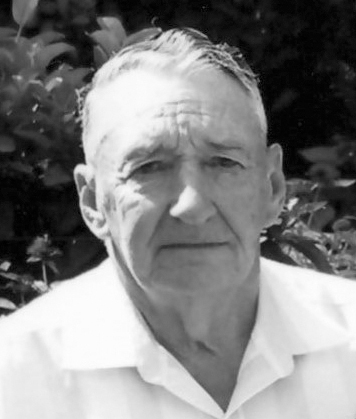 Elmer Guy Godwin, 85, a resident of Shiloh Road, Moatsville, passed away Wednesday, Sept. 5, 2018, at his residence with his loving wife by his side. Elmer was born April 17, 1933, in Barbour County, a son of the late Maynard Eston and Estie Marie (Wilt) Godwin. Elmer was united in marriage Feb. 21, 1970 to Georgia (Wilson) Godwin, who survives at home. Also surviving are brother, Harold Godwin and wife, Jean, of Charleston; brother-in-law, Thomas Wilson of Cincinnati, Ohio; sister-in-law, Willodine Godwin of Philippi; niece, Barbara Godwin of Moatsville; and nephews, Don Godwin and wife, Michele, of Tampa, Florida, Mike Godwin and wife, Cheryl, of Charleston and Derek Godwin and wife, Lisa, of Charleston. Elmer was co-owner and operator with his late brother, Ralph, of Godwin’s Sawmill. He was a sawyer for Shaffer Lumber and Clyde Dumire Lumber, and he also worked as a crew leader for West Virginia Division of Highways. Elmer served in the US Army during the Korean Conflict. He was an avid farmer and enjoyed making maple syrup in the spring. Elmer was a member of the Shiloh Church of the Brethren. Friends will be received at the Wright Funeral Home, 220 N. Walnut St. in Philippi today from 6-8 p.m. and on Saturday, Sept. 8, from 8 a.m. to 1 p.m., the service hour with the Rev. Todd Mouser and Speaker Brad Dumire officiating. Interment will in the New Hope Valley Cemetery with military honors being accorded. Condolences may be expressed to the family at www.wrightfuneralhomeservices.com.